Sorry about the lack of blog posts but a recent bout of stomach flu put me completely out of commission for the past week. Suffice it to say it’s the worst I’ve ever felt in my life and I’m only now just getting back into the swing of things. 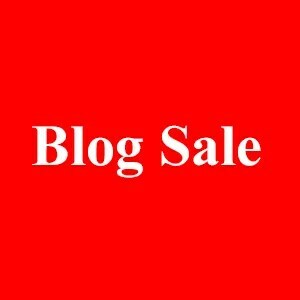 I intended to start off the the new year with blog entries about my favorites from the past month/year and some recent purchases but I now have a backlog of material that should’ve gone up before I got sick and I think it’s probably for the best if I put that stuff up first. You know, out with the old and all that jazz. First up is the Tata Harper Very Illuminating highlighter ($40) that I purchased during the Sephora VIB sale at the start of December. I may have been bedridden for the latter part of the month but I still had a couple of good weeks prior to that to test out the product. And even when I was bedridden that didn’t stop me from playing with my pretties. Being a huge fan of the RMS Living Luminizer cream highlighter and the natural glow it provides — and I mean natural as in both understated and the “green”/organic sense of the word — of course my interest was piqued when all the YouTube beauty gurus I follow started raving about Tata Harper’s Very Illuminating cream highlighter. 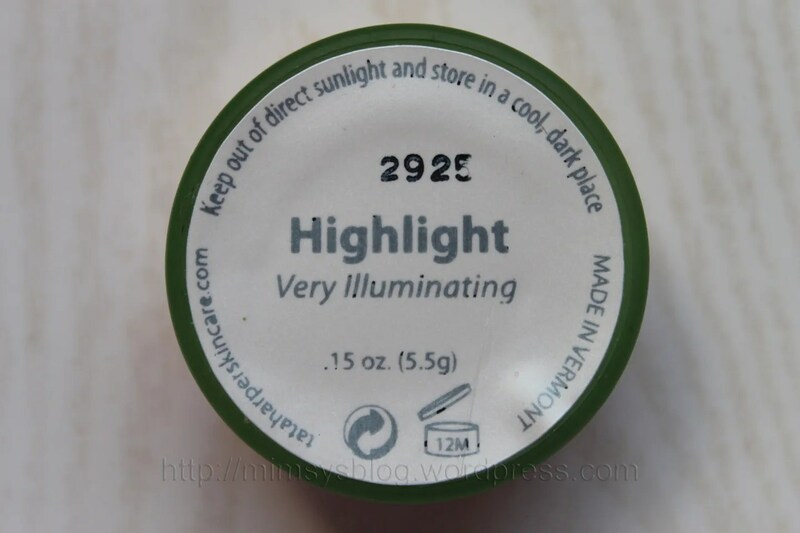 At $40 (0.15 oz) a pop, it’s definitely on the pricier end of highlighters overall but it’s in the same price range as RMS’ Living Luminizer (0.17 oz, $38). As you can tell from the sizable dip I’ve made in my pot of Living Luminizer, it’s been well loved. In fact, it’s the only highlighter I kept after my big makeup purge last year. The Living Luminizer is as close as I’ve ever come to finding a holy grail highlighter. Needless to say, Tata Harper’s Very Illuminating would have to be one spectacular highlighter to make me switch over from the RMS. 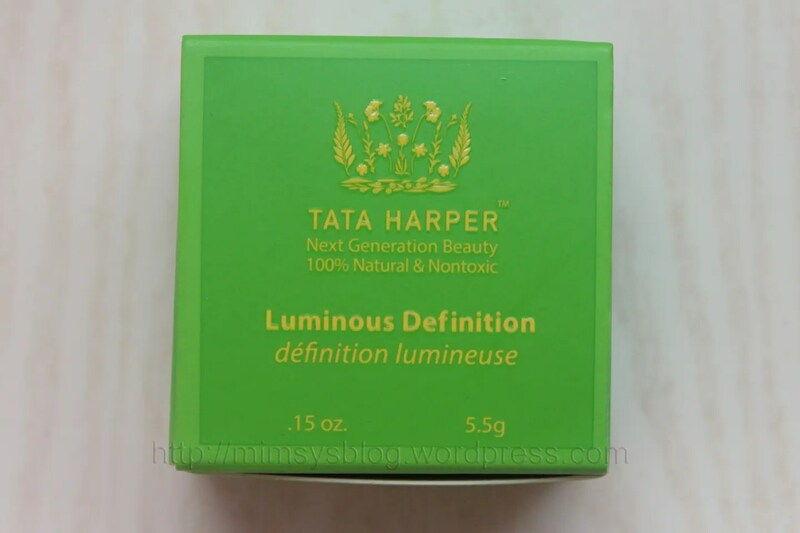 Much like the RMS Living Luminizer, Tata Harper’s Very Illuminating cream highlighter comes in a weighty, frosted glass pot with a metal screw-top lid. RMS went with a simple white while Tata Harper decided to go with a snazzier, grassy green glass and gold lid combo. One of the first differences I noticed between the Tata Harper and RMS highlighters is the difference in the lengths of their ingredients lists. There are more than twice the number of ingredients in the Tata Harper highlighter compared with the RMS Living Luminizer. 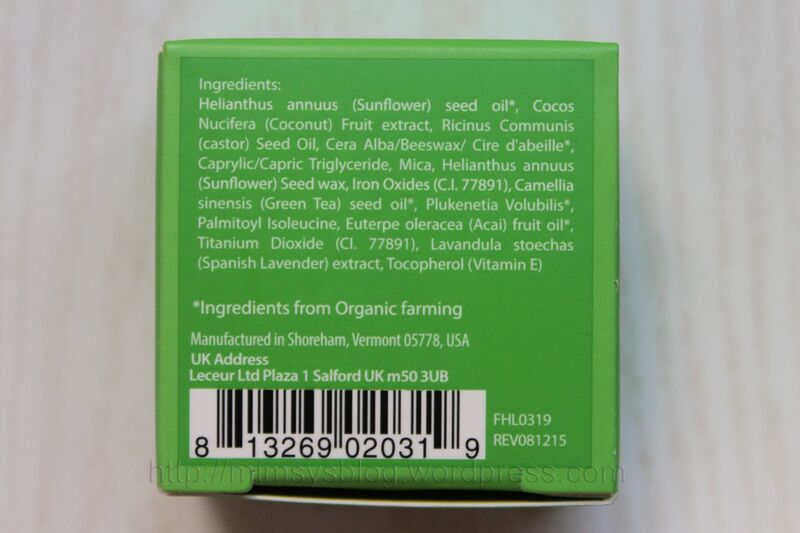 The base ingredients of the two highlighters appear to be the same: beeswax, coconut, castor oil, mica, titanium dioxide and Vitamin E (Tocopherol). The RMS does include rosemary which isn’t in the Tata Harper; however, the latter includes several other plant, fruit and floral oils and extracts. Just something to note. There are no guarantees, of course, but if your skin is very sensitive and easily irritated, the simpler formula of the RMS Living Luminizer may be a safer bet. Other noteworthy differences are the color and level of glow. 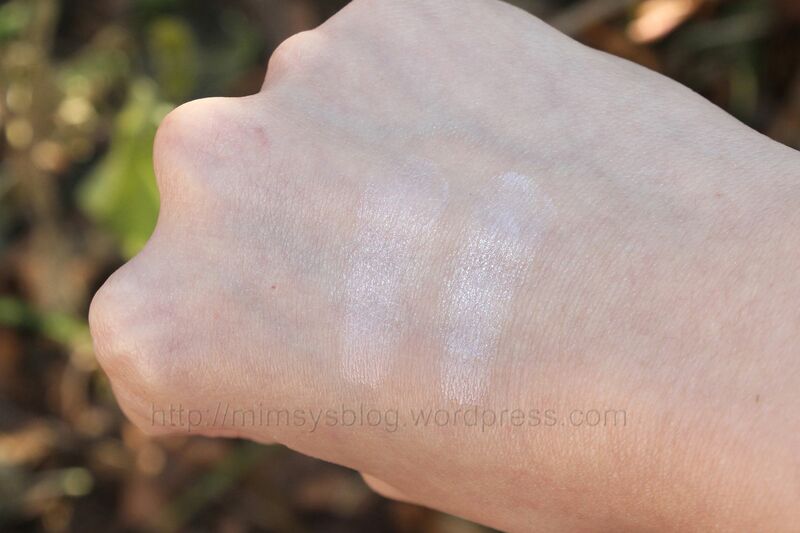 Although both are white cream highlighters, the Tata Harpers reads a bit warmer and leans slightly pink. In contrast, the RMS comes across on my skin as an icier, purer white. 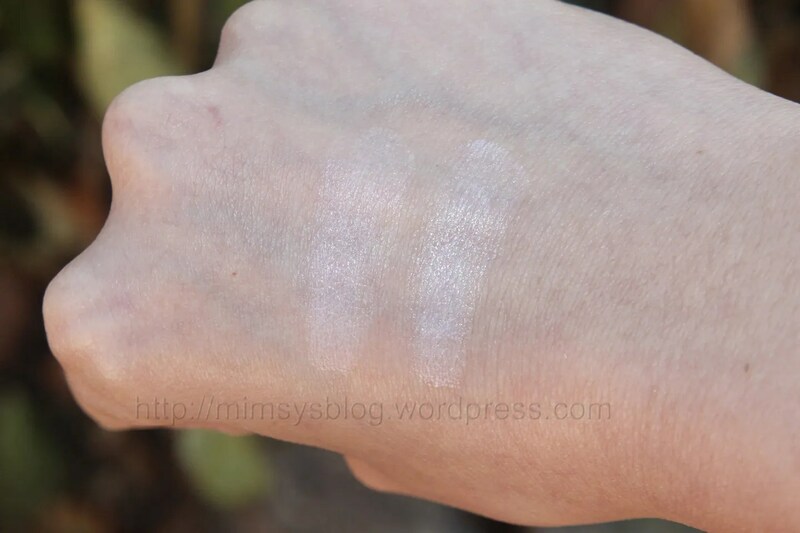 The cream base of the Living Luminizer appears off-white/ivory in the jar, so I believe it’s the microshimmer in the Living Luminizer that gives the highlighter a cooler cast when it catches the light. I’d always considered RMS’ Living Luminizer an extremely subtle highlighter but next to the Tata Harper it’s definitely glowier. In direct sunlight, the light reflecting microshimmer particles in the Living Luminizer are far more sparkly and visible. The Tata Harper looks a lot more understated and naturally dewy in comparison. 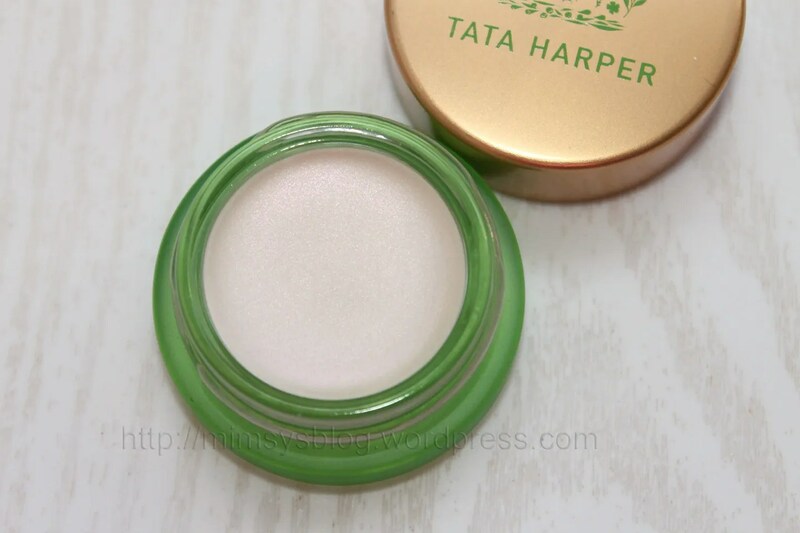 I’ve seen a few reviews mentioning a strong scent to the Tata Harper highlighter but I have to disagree. 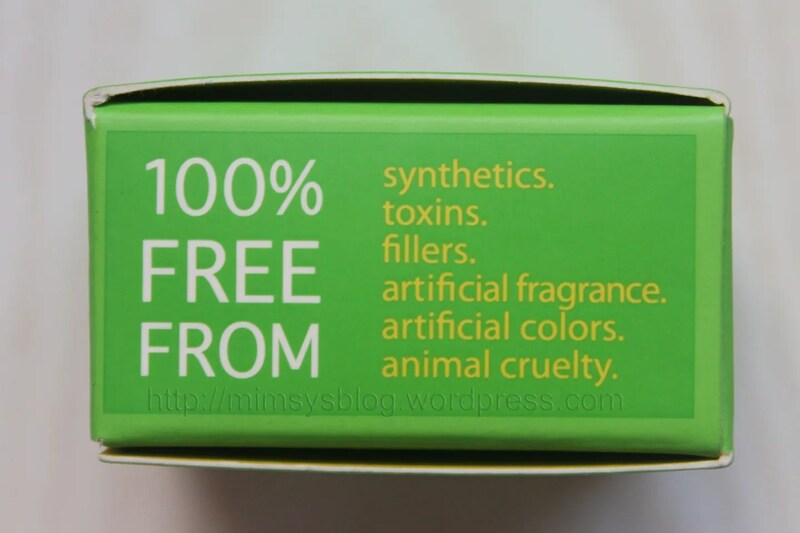 There is definitely a “natural,” herbal/botanical type scent that I associate with vegan cosmetics (a combination of plants oils and extracts) but it’s extremely subtle. It’s a little more scented compared with the RMS Living Luminizer but in the wide world of cosmetics, it falls pretty low on the fragrance totem pole. I’m generally quite sensitive about fragrance in my skincare and makeup products and I don’t have an issue with the way this highlighter smells. I also purchased the Tata Harper cream bronzer and a cream blush (which I’ll review at a later date) and among these three products, the blush has the most detectable fragrance (a bit fruity) but it’s still not a strong scent by any means. I personally love a subtle, dewy highlighter and gravitate towards white highlighters that lean pink, so the Tata Harper and I are a match made in heaven. Although it goes on sheerer initially, it’s definitely buildable in pigmentation so if I wanted a more prominent glow I could easily achieve it. I appreciate how customizable it is and like that it feels slightly more lightweight on the skin. I’ll use up my pot of RMS Living Luminizer because it’s a good product and I still like it but once I’m done with it I’ll be sticking strictly to the Tata Harper Very Illuminating highlighter. 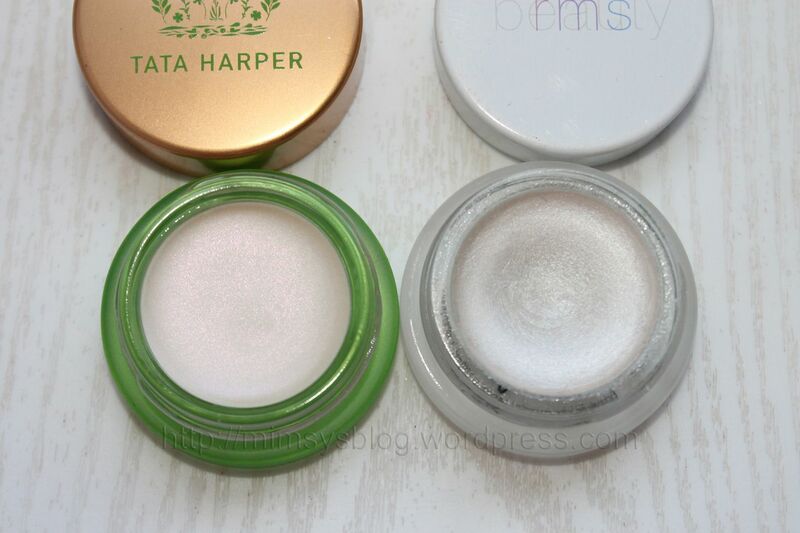 If you’ve been debating between these two highlighters I would steer you towards the Tata Harper. In my opinion, it’s the prettier, more natural looking highlighter and only a couple of bucks more than the RMS. I used to be into intense highlighters and the shinier the better (e.g. theBalm Mary-Lou Manizer, Stila Kitten, BECCA Shimmering Skin Perfector Pressed) but nowadways it’s all about subtle, understated, believably natural looking glow for me. If you’re into understated highlighters that don’t make it obvious that you’re wearing makeup even when your face is pressed up to a mirror (e.g. 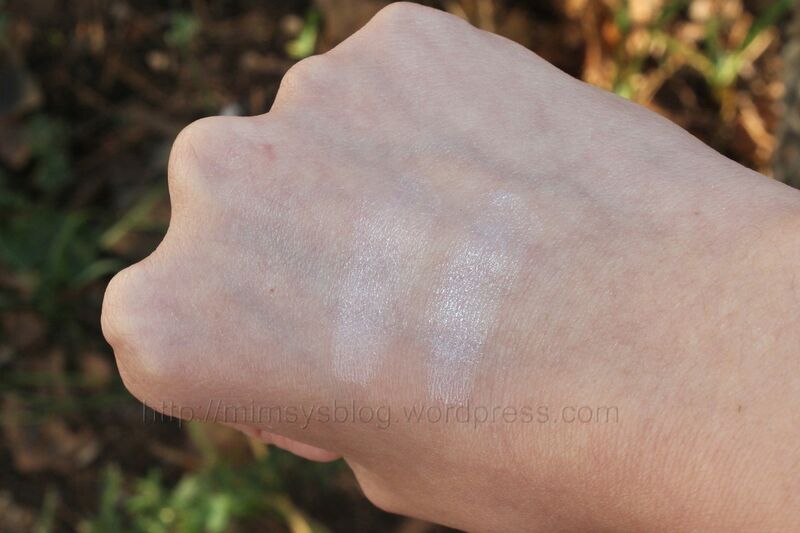 Shiseido High Beam White and RMS Living Luminizer), I think you’ll really enjoy the Tata Harper highlighter. This entry was posted in highlighter, makeup, swatches, Tata Harper. Bookmark the permalink.